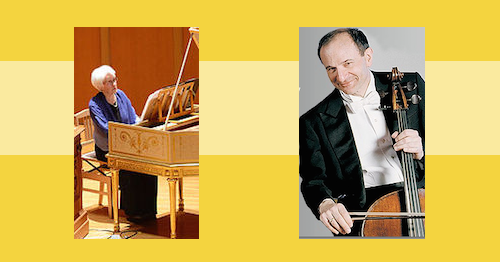 Cellist Jonathan Miller, a 43-year veteran of the BSO, plays a concert of Vivaldi, Scarlatti, Geminiani and Bach with renowned harpsichordist, Frances Conover Fitch on July 23 at 8 PM. Miller, Artistic Director of the Boston Artists Ensemble, pairs his Venetian ex Paganini-Piatti Gofriller cello made in 1700 with Fitch playing the 1975 Adams harpsichord (now home from the “Voicing the Woods: Jeremy Adams, Instrument Maker” exhibition at the Cape Ann Museum). A reception follows. The Annisquam Village Church is located at 820 Washington Street (corner of Washington and Leonard Streets) in Gloucester, 01930. Admission $20; Students and 65+ $15. The Annisquam Village Church is handicap accessible. Advance Tickets: The Bookstore or Diamond Cove Music in Gloucester. Toad Hall Bookstore in Rockport.